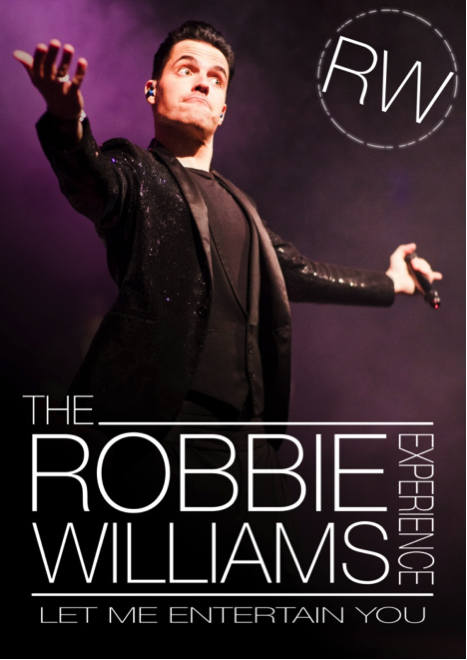 Home > News > Press Releases > The Robbie Williams Experience – Let Him Entertain You! 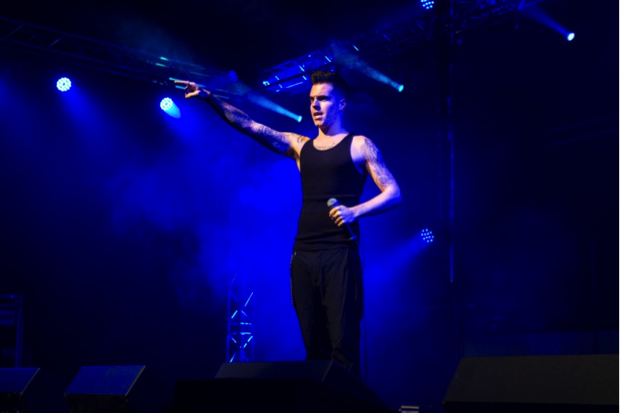 The Robbie Williams Experience – Let Him Entertain You! Jump on this rollercoaster ride spanning the 25 year career of the legend that is Robbie Williams. From his sell-out 3 nights at Knebworth, to the unforgettable “Swing When You’re Winning” show at the Royal Albert Hall, as well as reliving where it all began with Take That. 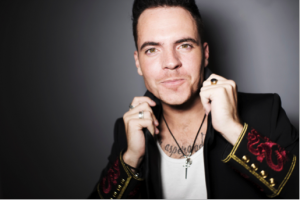 He has performed as Robbie Williams to sellout crowds throughout Europe to audiences as large as 20,000 people! As well as performing his own music for the last 3 years Tom has been touring arenas and theatres in the UK and Europe with the worlds number 1 Take That Theatre show “The Take That Experience” playing Robbie Williams.